Close your eyes and imagine what life might have been like in Roman London. Is everyone in togas? Are chariots racing down the street? Are gladiators lurking in the shadows? Can you hear a babble of Latin behind you? Londinium, a season celebrating the City of London’s Roman heritage, promises to reveal the hidden history of Roman London. Dating back to AD 50, the City of London is the oldest part of the capital. Roman invaders constructed a bridge over the Thames and built a settlement around it. Until AD 410, it was the largest city in Britannia. What was Roman London really like? Throughout August, September and October, you’ll be able to experience Roman life – or at least a little of it – and see its influence today. 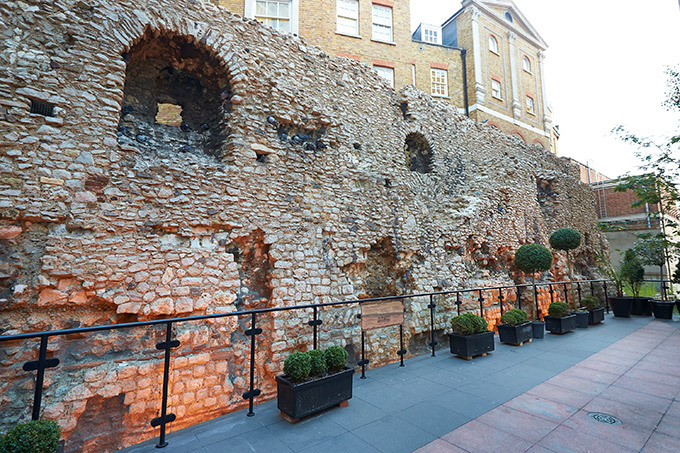 Join a tour of Billingsgate Roman House and Baths, now hidden beneath offices, and explore the remains of the western gate of a military fort, where Roman sentries controlled access to the city, now under the Museum of London. Learn about some of London’s Roman residents, from a female slave called Fortunata (Lucky) to Julia Pacata, who married the procurator of Roman Britain, the wonderfully-named Gaius Julius Alpinus Classicianus. 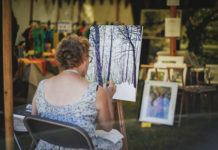 A talk by Mary Beard, TV historian and professor of classics at the University of Cambridge, will even show you how to spot a Roman emperor, should you see one wandering around. 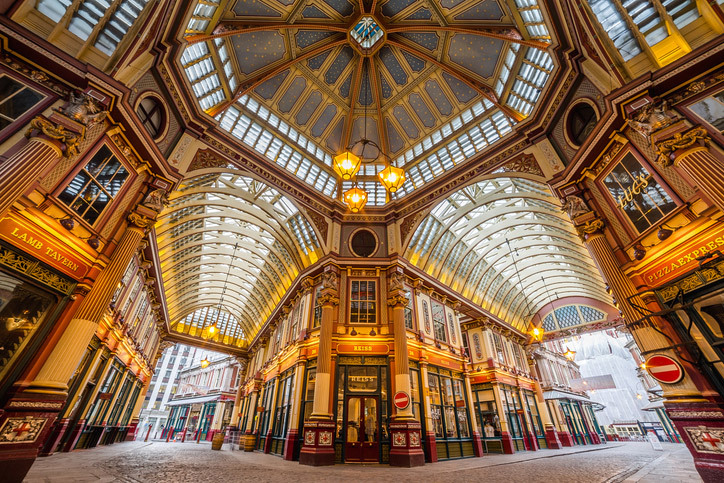 You can also visit the Temple of Mithras, Leadenhall Market and the remains of the Roman amphitheatre. 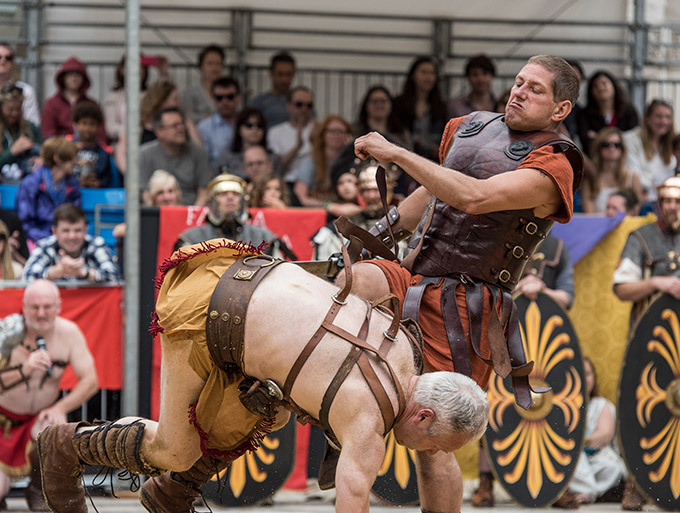 For today’s tamer but no less valid entertainment, a pop-up outdoor cinema at Guildhall Yard will screen Roman-themed films, including Pompeii, Gladiator and Roman Holiday. Roman Holiday? The Roman link is Audrey Hepburn’s sandals. 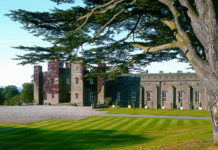 Viewers are encouraged to bring picnics. Dormouse and marinated ostrich was a delicacy back then. Both are optional for your hamper. If you want to feel educated and entertained, the Londinium programme includes Roman wine tastings and talks. Romans often diluted wine with water, although there were also various ideas about how to improve its taste. Pliny the Elder suggested adding ‘seawater to enliven the smoothness’. Cato liked wine with a drop of pig’s blood and a sprinkle of marble dust. All tastings will be pig blood and marble dust free.